With the first snow each winter, you'll hear lots of people comment about how other adults have lost their minds. "Wow, looks like everybody forgot how to drive on the white stuff again this year!" "You're late to work because of a little snow?" "First dusting of the year—OF COURSE they canceled school!" But you know who else loses their minds each winter and keeps losing their minds, all winter long? 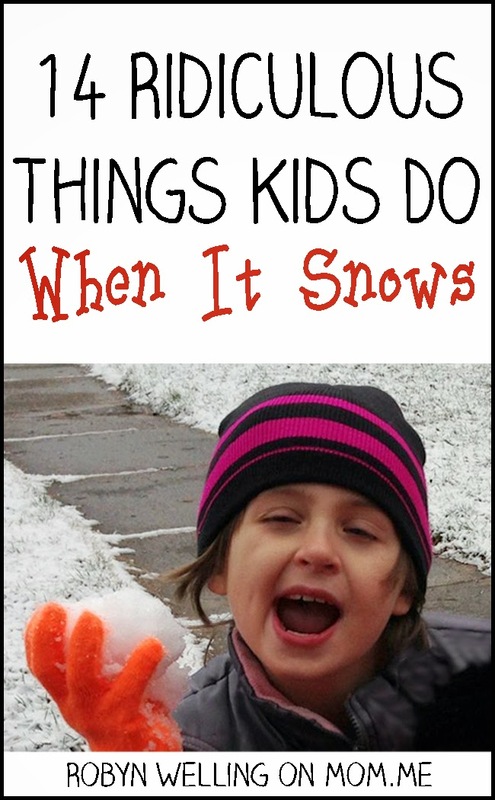 Join me on momdotme so we can commiserate/laugh at 14 Ridiculous Things Kids Do When It Snows. Then please, for the love of all that's holy, CAN SPRING PLEASE GET HERE ALREADY?! ?